← THE QUEEN’S RESISTANCE Street Team! Hello, hello! 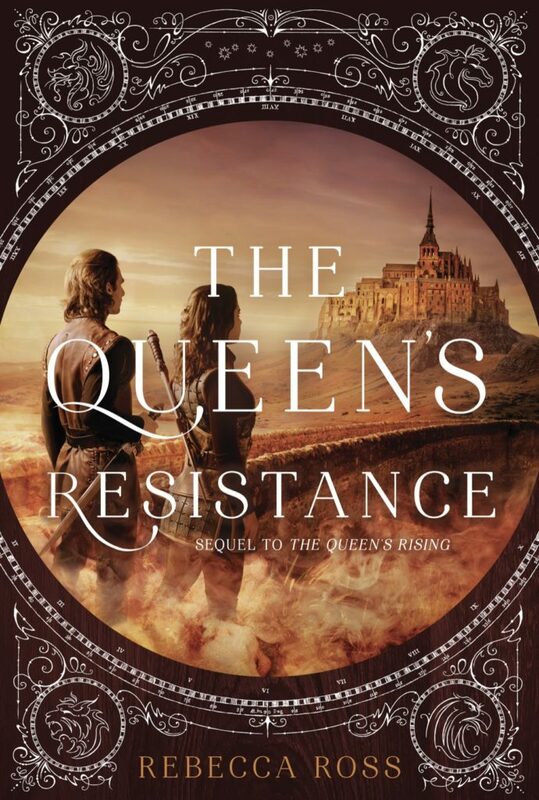 I am very excited to unveil the preorder campaign for my second book, THE QUEEN’S RESISTANCE! I have been planning this for months, and I hope you all will enjoy what I have in store for you. Read on for the details & to learn how to enter. Oriana writing a letter to Brienna. (Huge thanks to Vanessa for posing in this picture for me!). You will receive a PDF file of The Passion Sister Letters. This is content that was deleted from the very first draft of The Queen’s Rising. 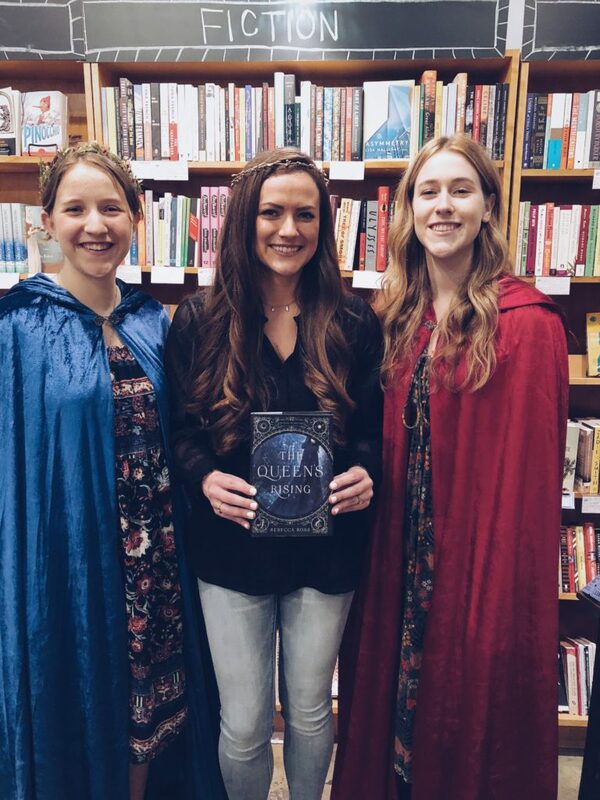 And I know so many of my readers wonder about Brienna’s passion sisters, especially after the solstice when each of the girls go their own way. 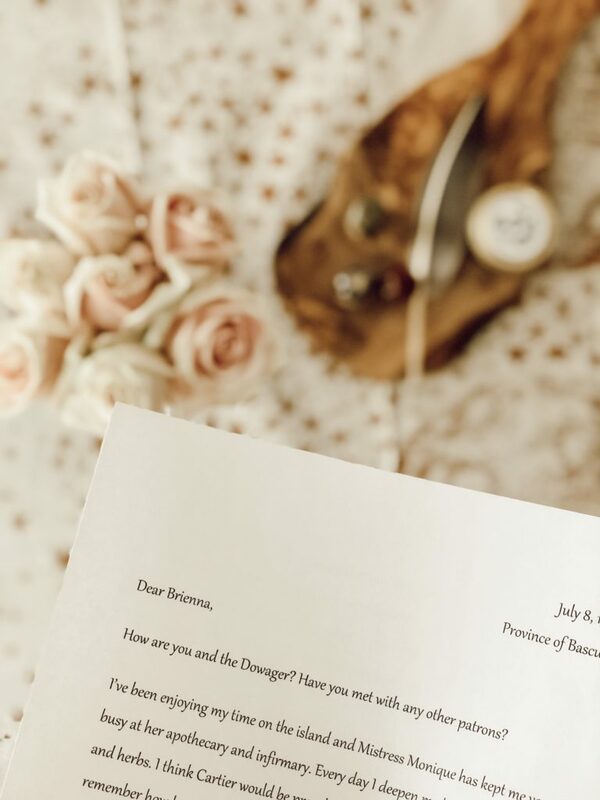 These letters (which are addressed to Brienna, written by her sisters) will give you a little glimpse into what life is like for the girls post solstice. I also want to open up this part of the campaign for readers who are unable to purchase a copy of my book. I know how budgets and paychecks can be (and how us bookworms sometimes have to limit ourselves to what we can buy versus what we can borrow). If you cannot afford to preorder my book, you can still receive The Passion Sister Letters by going to your local library and requesting The Queen’s Resistance. If you do, please email me at rebeccarossauthor@gmail.com and let me know the name and address of the library you requested my book at (but more about that below). 1. Brienna’s Book of Knowledge. Okay, so when I saw this little journal on Etsy, I knew one of my readers needed to win it. 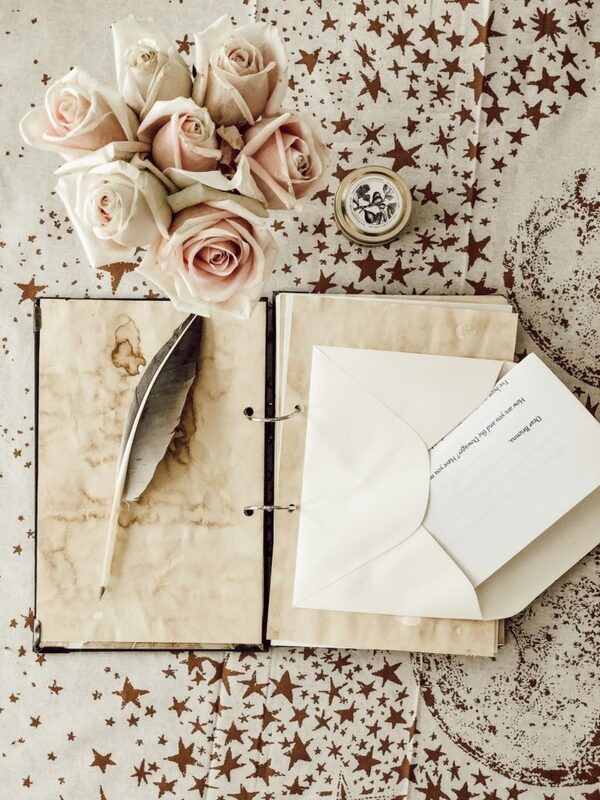 Inside, you will find hardcopies of the five passion sister letters, as well as a few pages of ephemera, in case you want to transform this into your own junk journal. 2. Two Young Living Essential Oil Rollers. I am super excited to include these two rollers in my grand prize! One of the rollers is called “Valor” and is made of Black Spruce, Camphor Wood, Geranium, Blue Tansy and Frankincense essential oils. The second roller (which is clear) is my own favorite “Writing Blend” and is infused with Peppermint, Lavender and Northern Lights Black Spruce. I diffused these oils when I was revising The Queen’s Resistance, and to this day they still make me think of Maevana. They also helped keep my mind sharp and focused when I was revising. 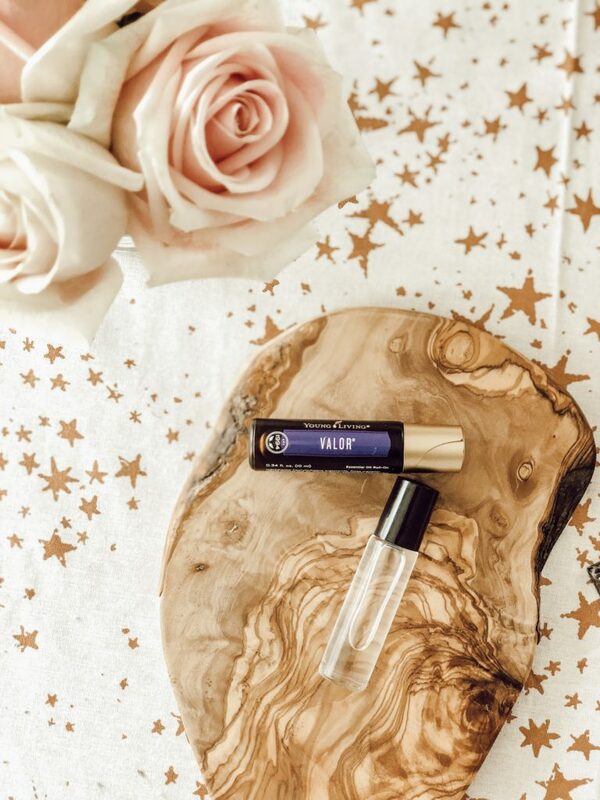 My friend Aly is a Young Living distributer (you can find her @essentially_aly on Instagram) has teamed up with me to provide these two rollers, and they are amazing! 3. Swag! 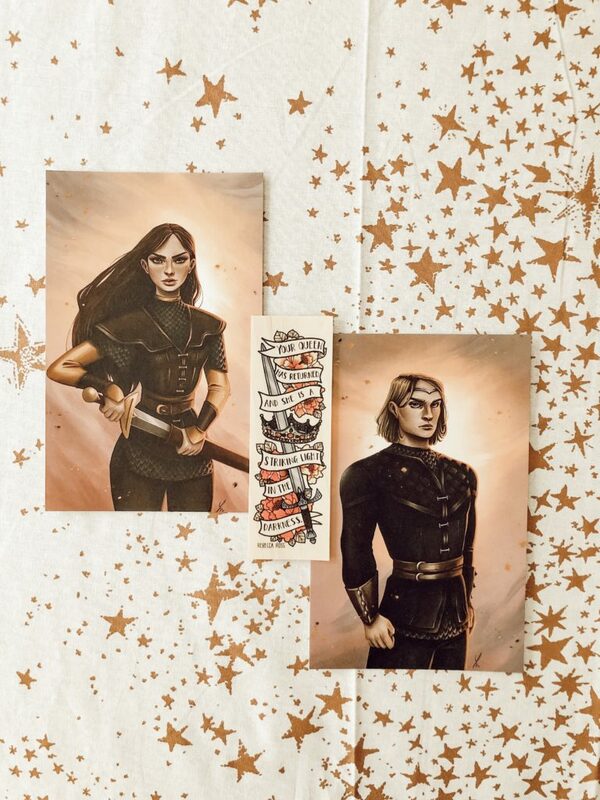 A portrait of Brienna and Cartier, made by Yara Noe, and a beautiful woodmark made by Paris of Ink & Wonder Designs. 3. The name and address of the library you requested The Queen’s Resistance at (if you did not preorder & still want to receive The Passion Sister Letters). 4. Your Proof of Purchase (this can be a forwarded email, a screenshot, an image of your receipt, etc). Hardbacks, paperbacks (such as the U.K. edition), audiobooks and electronic books are all included in the preorder campaign but please note that you must have a proof of purchase to be eligible for the grand prize. I know, for example, that Audible supplies its users with a few free audiobooks. If you choose The Queen’s Resistance as your free download, it will not be elligible for the grand prize drawing. It would not be fair to other entrants who do purchase the copy of my book. For a valid entry for the grand prize drawing, a proof-of-purchase and entrant’s mailing address must be emailed to preorder campaign admin (Rebecca Ross) at rebeccarossauthor@gmail.com by 11:59 PM EST on March 4, 2019. All international entries are welcome and included! 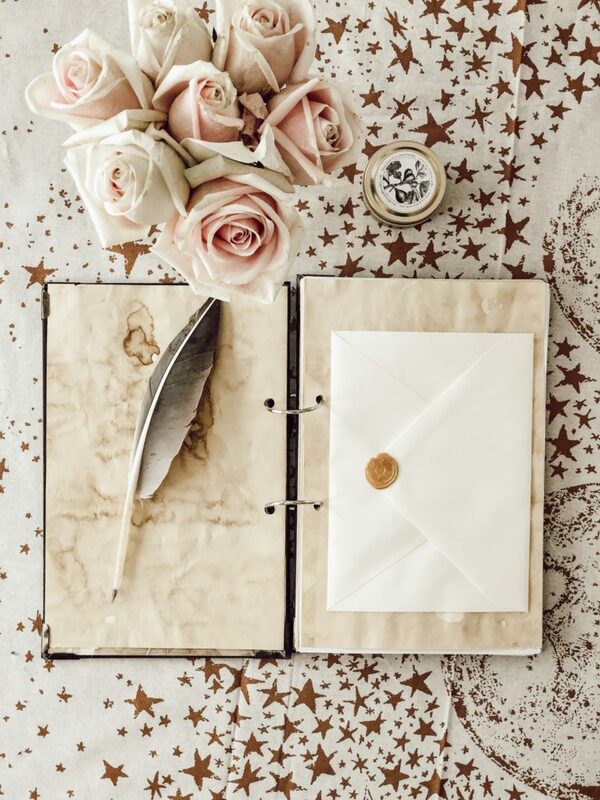 For a valid entry for The Passion Sister Letters only, the name and address of the library the entrant has requested the book at must be emailed to preorder campaign admin (Rebecca Ross) at rebeccarossauthor@gmail.com by 11:59 PM EST on March 4, 2019. By entering, you are confirming that you are 13 or older, and giving the admin (Rebecca Ross) the permission to contact you via email and to mail you the grand prize should you win the drawing. Following a valid entry, the reader will receive via email a PDF file of The Passion Sister Letters, which will include 5 letters total. 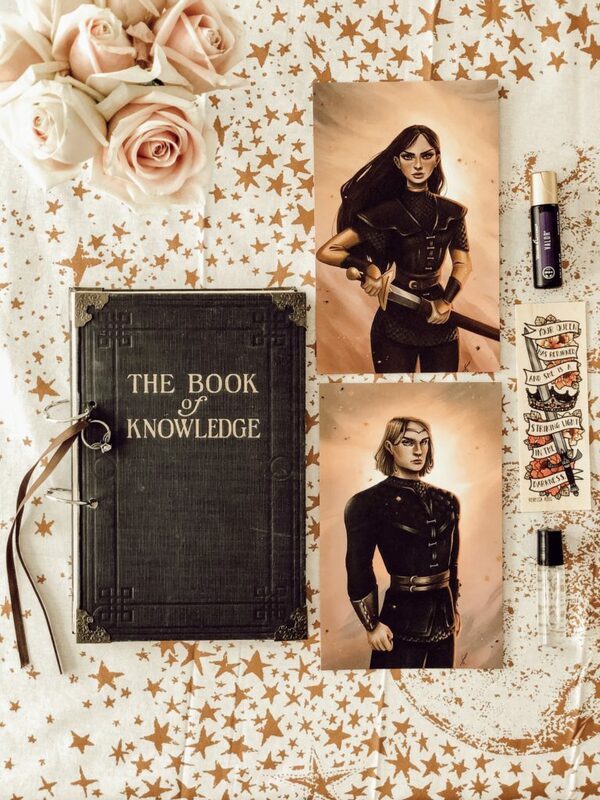 One preorder entrant will be randomly drawn for the grand prize and will receive, in the mail, the following: Brienna’s Book of Knowledge, two essential oil rollers, swag that includes a portrait of Brienna and a portrait of Cartier and a Woodmark, and one passion cloak (the color of their choosing). The winner of the grand prize will be drawn on March 5. If you win, you will be notified by me via email. 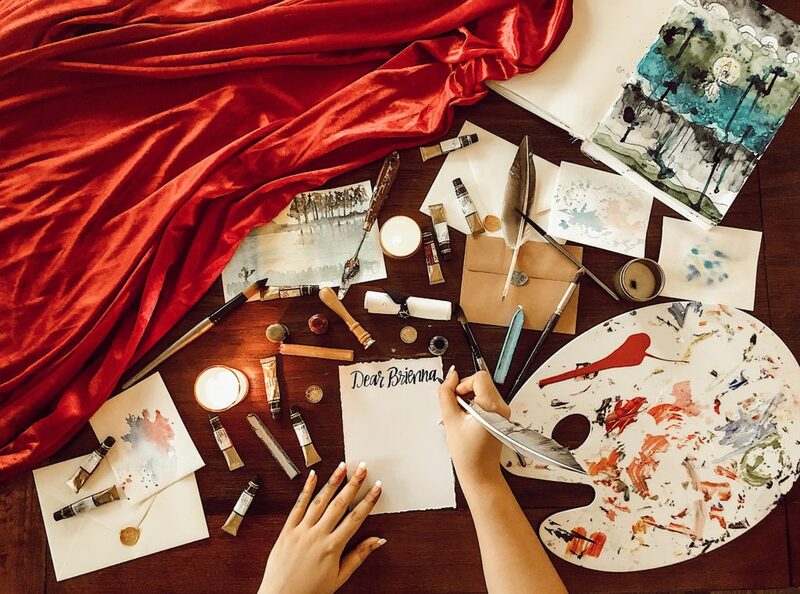 The Passion Sister Letters will be sent out via email on March 5.